In general, debt consolidation involves combining several unsecured debts, like credit card balances, personal loans, or even outstanding medical bills, into one single bill. Typically, this is done with one loan, usually a personal loan, to pay off all of your existing debts, allowing you to only have one payment instead of many. You are essentially refinancing all of your debts into one loan. Debt consolidation tends to lower your total monthly payments and gives you a fixed time frame for your debt to be paid, unlike revolving credit (credit cards) where you can continue to pay on it for years because you can keep adding to your balance again and again. Revolving credit can easily become a pay-it-off, add-to-it, pay-it-off, add-to-it, pay-it-off cycle that can be difficult to get out from under. The most common type of debt consolidation loan is an unsecured personal loan, but debt consolidation can also be accomplished through a home equity loan or even transferring credit card balances from high-rate cards to a lower-rate credit card. We will explore all of these options. Once you have consolidated your debts, the total amount you owe is still the same, but your monthly payment is usually lower. This is because the loan is now a fixed payment and your interest rate is lower. This can be extremely helpful to someone who is struggling to make all of their credit card or loan payments on time every month. It can also be a great way to simply save money. When considering debt consolidation, it's important to talk to a lender or other trusted financial advisor to see which option is best for your current situation and credit portfolio. Check out this interview to get expert advice on consolidating your debt to help you save money. There are a variety of "types" of debt that can be consolidated. 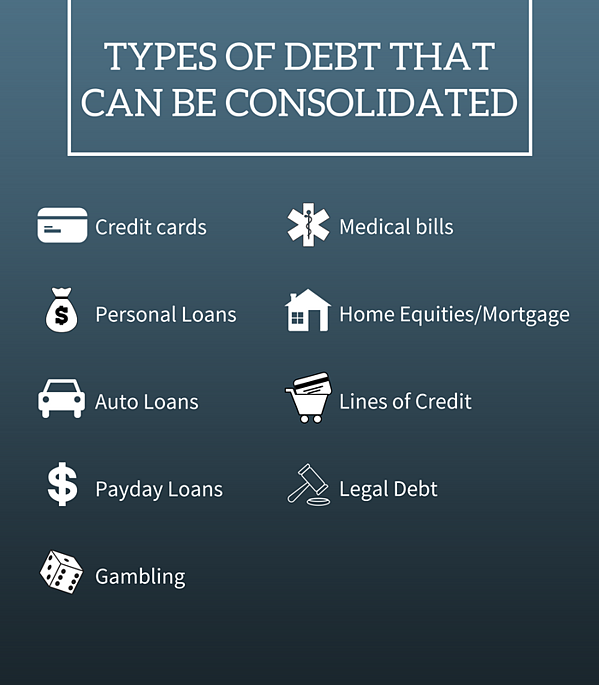 Use this helpful graphic to familiarize yourself with the most common debts that you can consolidate. Debt consolidation does have an effect on your credit score, but depending on what your current debts are, it can either raise your credit score or lower your credit score. If you opt for a consolidation loan or a credit card, you’re applying for new credit and that means a “hard” inquiry into your credit. Any time that happens, your score takes a slight dip. Your credit score partly depends on your credit utilization – the amount of debt you carry as compared to the total amount of debt available to you. For example, a debt consolidation loan can raise your credit score by freeing up the availability of your revolving debt, such as credit cards. By paying off your current debts on revolving credit and putting it into an installment loan, your credit availability will be at 100% right away. This can increase your credit score up to 100 points. On the other side of that, a debt consolidation loan can also have the opposite effect by lowering your credit score. This is because if you pay off and then close all your credit lines, your credit availability will stay low due to closing off your credit lines. The exact effects of debt consolidation on your credit score is definitely something to speak to your lender about if you are considering debt consolidation. In some situations, it may make sense to close your credit lines, and in others, it would make sense to leave them open, with the understanding that they wouldn't be used in the same manner as they were before. Each person’s situation is will be different depending upon the types of debt you currently hold and the balances owed. There are many reasons to get out of debt. Debt consolidation provides a convenient way to pay off multiple loans that have high interest rates. It can be beneficial to consider the possibility of combining multiple loans into one loan that has an easier repayment schedule. You can often save money in the long term by consolidating debts. However, it isn't the right choice for everyone. Debt consolidation is best for someone who is paying high interest rates on multiple debts or is struggling to pay all their debts on time every month. There are definitely situations where debt consolidation isn’t needed. For example, when the interest rates that people currently have are better than what can be offered through debt consolidation. If this is your situation, then you would need help to structure your finances to pay off the debt quickly, usually through setting up a budget and a payoff plan. Overall, when you consolidate your debt you should end up with a lower monthly payment, lower interest rate, and/or a faster time to pay off. If this is not possible, then debt consolidation might not be the best option for your financial situation. It is important to stay informed about the pros and cons of debt consolidation and be sure to talk with a trusted financial institution about your options. All of your debt payments are rolled into one loan with one monthly payment. This means it’s easier to manage debt in your budget because you only have to worry about one payment on one loan. It becomes easier to manage your budget when you no longer need to make payments on multiple loans and bills every month. You can pay off debt faster. Since the interest rate is lower, each payment you make puts more of a dent in your balance instead of getting drained away on added interest charges. As a result, you can pay off debt within a few years or less, instead of the decades it would often take on a minimum payment schedule. You have some flexibility. Debt consolidation comes with an opportunity to change the loan term depending on your current circumstances. The interest rate applied to your debts is much lower. High-interest credit cards tend to have rates higher than 20 percent. The right debt consolidation option will typically reduce the interest rate applied to your debt to around 10 percent or less. You can avoid credit damage. By consolidating debt, you stay ahead of it. As a result, you avoid the potential credit score damage that can come with late or missed payments and delinquent or defaulted accounts. You also stay out of bankruptcy, which can drop your credit score below 600, so you can get approved easily for most types of financing. You could be turned down. Applications for debt consolidation are not always accepted. The acceptance or rejection greatly depends upon your credit report, number of outstanding debts, and value of the collateral, if you're looking to use collateral. It can also depend on the lender you chose to work with and what their lending guidelines for debt consolidation are. If your payoff plan doesn’t work, you’ll be back where you started – or worse. Since debt consolidation loans are issued after assessing your financial situation, and a commitment to a repayment plan, it can prove to be a risky decision if you fail to follow the repayment guidelines properly. You risk damage to your credit and may face additional penalties. In some circumstances, if your creditors agreed to remove penalties and added interest when you consolidated, these will be brought back if you fail to keep up with your payments. You could end up paying more in interest. It may not benefit people extending the terms for longer periods of time since loans with longer terms tend to have more interest in the long run. If you use credit before you pay off the consolidated debt, you dig yourself into a deeper hole. With some options, your existing accounts will have zero balances and you’ll be able to use them right away, so it can be tempting to starting making purchases. Taking on any new debt before you eliminate your consolidated debt is dangerous. There are different kinds of debt consolidation loans, each with different structures, requirements, and payment terms. This section will briefly discuss what your debt consolidation loan options are, what the different types of loans mean, and additional terminology to understand. Debt consolidation loans are offered by banks and credit unions for the sole purpose of combining your debts. Debt consolidation loan options vary, so it's important that you know the different loan options and choose wisely. 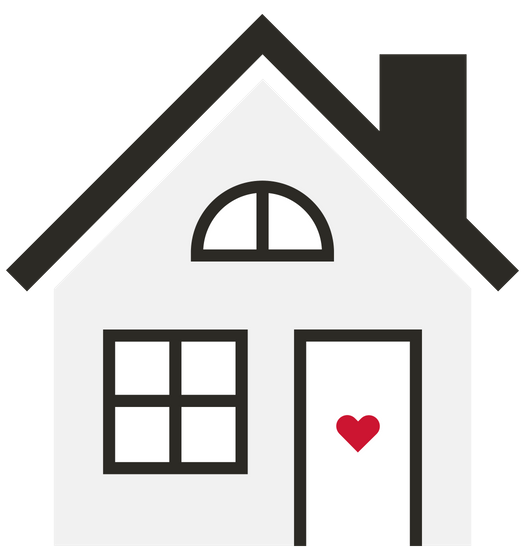 A home equity loan is a fixed rate loan with a fixed term, usually 10 years, that's taken out using your home as collateral. You usually need to have enough equity in your home and good credit to qualify for this type of loan. While the interest rates are typically lower on a home equity loan than other types of loans, if you find yourself not able to make the payments, you may face foreclosure on your home. If you are planning to use a home equity loan to pay off your debt, you better have a solid management plan in place to keep you from defaulting. It's also important to note that home equity loans come with closing costs and fees, you will need to make sure you can afford to pay these extra fees. A Home Equity Line of Credit, or HELOC, is a variable rate line of credit, which also uses the equity in your home as collateral. Again, you usually need to have enough equity in your home and good credit to qualify for this type of loan. Interest rates are also typically lower on HELOC loans. The difference is, the interest rate is variable, and it usually changes when the Prime Rate changes, which means the interest rate could change on a quarterly basis. Again, if you find yourself not able to make the payments, you may face foreclosure on your home. Home equity lines of credit also come with closing costs and fees that will need to be paid upfront. With a credit card balance transfer, you transfer your credit card balances onto a single credit card, ideally with a lower interest rate. If you can qualify for a credit card with a 0% interest rate for 12 months or more, it may make sense to transfer all of your balances to that one card, especially if you have $5,000 or less in credit card debt. Low balance transfer interest rates are typically promotional rates that expire after a certain amount of time, usually between 6 – 18 months. If you choose to transfer balances, make sure you read the fine print of your agreement to know when the promotional rate will expire and what the new interest rate will be on any remaining balance. You'll also need to find a credit card with a large enough credit limit to hold however much debt you have. It is important to note that putting too much debt on one credit card could have a negative impact on your credit score as your credit utilization goes up, but your credit score can rebound quickly as you pay down the balance. Personal loans (a.k.a. signature loans) can be used as debt consolidation loans if you can borrow a loan large enough to cover all your balances. Depending on your credit rating, you could have trouble getting approved for a personal loan. 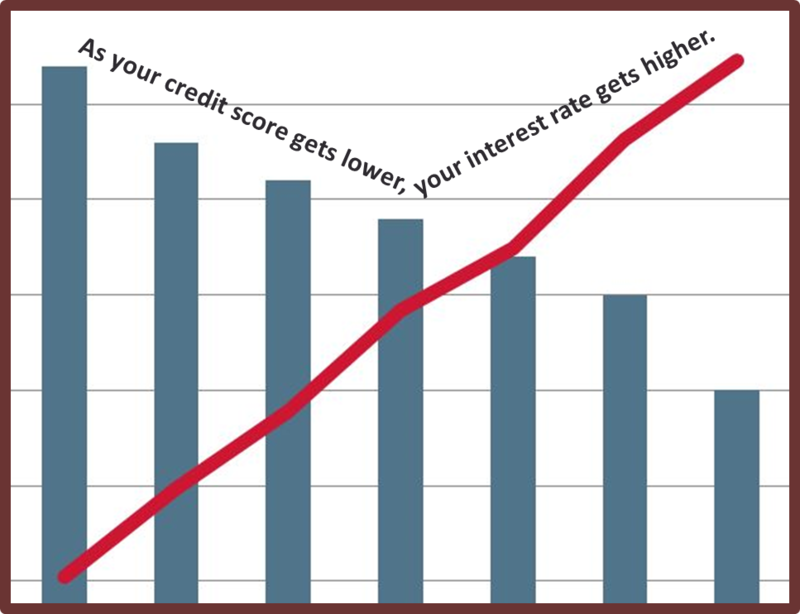 People with lower credit scores may not get approved at all, or may get approved but at a higher interest rate. 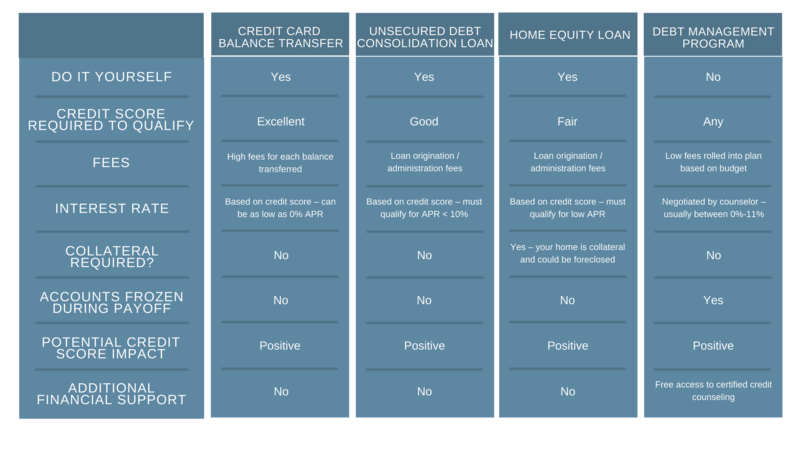 Use this helpful chart to compare different types of debt consolidation loans. With each type of debt consolidation loan, there are different loan types you will frequently hear referred to. The differences between the types of loans may impact the interest rate, your payment schedule, or even what collateral you'll have to provide. Be sure to familiarize yourself with these loan types to avoid any confusion and the disadvantages of debt consolidation. Secured loans are the type of loans in which the borrower places a valuable asset, like a vehicle or a home, as collateral in the case of default. Secured loans have relatively flexible terms and good rates, but can be costly if you're unable to pay back the loan in time, as you risk losing the asset you offered as collateral to secure the loan. There is no asset or property involved in unsecured loans. These types of loans are usually called "personal" or "signature" loans, because your signature is all that is required. As a result, the interest rates and payment terms are fixed. Fixed loans may have higher interest rates in the initial stages, but they are often preferred by borrowers because of their stable rates. The interest rates are fixed and are not affected by the ever-changing market rates. This relieves you from any rising market rates and allows you to plan payments accordingly, because they do not change over the life of the loan. The initial interest rate on these loans may be lower than fixed loan rates, but that depends upon current market rates. These loans are often tied to the Prime Rate, which can change quarterly. This type of loan can greatly benefit you in a situation where interest rates fall. However, in many cases, the interest rate will rise, putting additional pressure on you with increased payments. It is important to understand that the end cost of a loan is not just the amount that you have borrowed, but also the interest rate that is applied to it. Some borrowers are lured in by extended periods of loan repayment. While extending your loan usually lowers your monthly payment, you end up paying more interest than your would with a shorter term loan. Companies that offer unusually long payment terms may increase interest rates, which will increase the overall cost of the loan. For example, most unsecured debt consolidation loans have terms from 3-5 years. In general, the interest rate on these loans can be 10% or less. When choosing a term greater than 5 years, its common for interest rates to increase considerably. When consolidating your debt, the total interest you are paying should be decreasing, not increasing. When choosing a company to borrow money from, don’t focus on longer time-frames for repayment. Instead, choose a company that offers lower interest rates with manageable repayment time frames. It's easy to fall victim to the “terms within the terms” of debt consolidation loans. While they may seem easy and straightforward, it is very important to go through each clause of the agreement to fully understand the terms before signing the deal. This helps you find any hidden charges or varying interest rates. A trustworthy lender will disclose any and all fees and charges with you up front, but it is important that you review the fine print yourself before signing any paperwork. 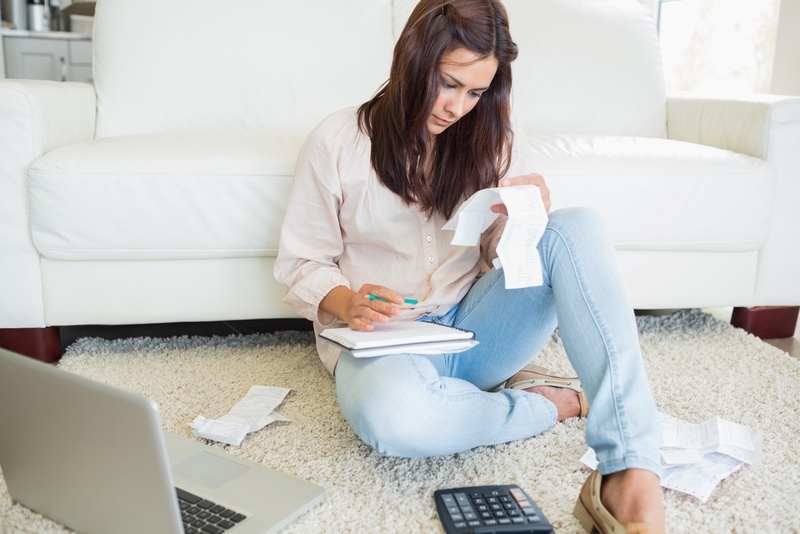 Can I Still Consolidate My Debt If I Don't Have A Job? You’re on Social Security or Disability. Social Security or disability is income. If you are receiving regular monthly payments and you have documentation, such as bank statements or letters from the government that show your monthly payment, you may be able to qualify for a loan. Be ready to show as much proof of income documentation as you can, even if the income itself is limited. You receive Alimony or Spousal Support. Alimony or spousal support is also income. So, if you don’t work, but receive regular alimony or spousal support payments, this can also be used to help get approval for a debt consolidation loan. Again, be prepared to show as much documentation as you can to show the consistency of the payments, like bank statements, a letter from the courts, etc. Can I Still Consolidate My Debt With No Collateral? You can get a debt consolidation loan without collateral (i.e. a physical asset like a car or house) in most cases, through a loan called an unsecured loan. With an unsecured loan, instead of collateral, all that is needed is your signature to secure the loan; this is often referred to as a signature loan or personal loan. If you do not have collateral, an unsecured loan would likely be the best route for your debt consolidation plans. For example, let’s say you have $10,000 in credit card debt, on 5 different credit cards. Those five credit cards are unsecured loans because they aren’t secured by collateral. In this case, it would make sense to take all of those credit card balances and put them together into one unsecured debt consolidation loan with a fixed rate and one monthly payment. Typically, collateral is recommended for larger loans, like Home Equity Loans or Lines of Credit, or refinancing a mortgage to consolidate debt. Vehicles are often used for collateral as well. Putting up collateral or something of value for a loan is a strong indicator to the lender that you are serious about your loan and committed to making a change for your financial future. Can I Still Consolidate My Debt Without A Co-Signer? Generally, a co-signer is only needed when your credit score or income may not be strong enough to meet a financial institution’s underwriting guidelines. If you have a stronger credit score, typically 650 and above, along with sufficient income to cover the loan payment, it’s likely you will not need a co-signer. There are some benefits to having a co-signer on a debt consolidation loan. Having a co-signer can help you obtain loan terms that you may not have been able to be approved for on your own. For example, a strong co-signer can help you obtain a better interest rate or term for the loan. For example: Let’s say you’re credit score is 600, you’re interest rate could be anywhere from 10-15% for your debt consolidation loan. If you add a co-signer with a credit score of 720, then you’re interest rate could instead be anywhere from 5-7%. That's a lot of savings. In some cases, you may even be able to borrow more, depending on the strength of your co-signer. If you are asked by your financial institution to provide a co-signer for your debt consolidation loan, that is not necessarily a bad thing. Just make sure you choose a reliable co-signer. You could offer to pledge collateral, such as your car, instead of providing a co-signer. However, keep in mind if you are unable to make payments, you risk losing the asset you pledged as collateral. You can look for additional sources of income, meaning you may need to get a second job. Or provide proof of additional regular income you receive such as alimony or social security income. Work on paying down your debt to lower the total amount of the loan you are requesting. This may improve your credit score in some cases, making it more likely for you to be able to get your debt consolidation loan without a co-signer. Ask if they are willing to extended to you a smaller loan amount to consolidate some of your debts rather than all of it. Depending upon the lender, some maybe willing to offer you a smaller debt consolidation loan without a co-signer, which can still alleviate the burden of multiple debts to be paid. If one lender turns you down, see if another is willing to help you out. Not all lending institutions have the same guidelines for extending credit. Credit unions, for example, are often more flexible than a bank when it comes to lending to those with lower credit scores. Can I Still Consolidate My Debt Without Checking My Credit Report? When applying for any type of loan, but especially a debt consolidation loan, you want your credit report to be pulled and reviewed. This important step helps both you and the lender to see your entire financial picture. With your credit report, the lender can total up all of your balances and all of your monthly payments and use that information to find the type of debt consolidation loan that works best for you. More importantly, knowing your credit score can help you create a plan to improve your score over time. A debt consolidation loan will most likely help you improve your score. Also, most lenders will use your credit score to determine the interest rate on your loan. The higher your credit score, the lower your interest rate will be and the lower your credit score, the higher your interest rate. You may have a higher credit score than you think and incidentally can miss out on an affordable interest rate on your loan because you’re credit wasn’t pulled and reviewed. That being said, yes there are some lenders out there who are willing to give you a debt consolidation loan without reviewing your credit report first. However, be very wary of lenders who would be willing to complete a debt consolidation loan for you without first checking your credit report. Like we’ve said above, your credit score helps determine your interest rate, and, it’s important to know your entire financial picture before consolidating debt. You might find out that there are other debt management options for you to consider. Can I Still Consolidate My Debt If The Amount Is Small? The total amount of a debt consolidation loan is irrelevant. To some people, a small loan amount could be considered $50,000 and to others $500. Regardless of the loan amount, if debt consolidation makes sense for you financially, meaning lower payments, shorter time to pay off, and/or improvements to your credit score, then it would make sense to move forward. For example: Let’s say you went through a rough patch where your furnace broke to the tune of $4,000 and you had to set up a payment plan with the installation company to afford it. Then, you had a medical treatment and the bill is $1,000. Then, your kids had some unexpected financial issues and you helped them out with your credit card, for another $2,000. That’s $7,000 of unexpected debt, which can break your budget fast. Trying to make the additionally payments to three different sources totaling, for this example, $650 a month can be stressful. Now, if you consolidate all of those payments into one loan, your payment would drop to $350.00 and you know the loan will be paid off in 3 years. In this scenario, it makes sense to do a small debt consolidation loan to bring those payments under control. Now in some cases, let’s say that you owe less than $1,000 total between three credit cards. It might make sense to just make more aggressive payments to payoff these debts quickly. However, debt consolidation can still be a realistic option in this scenario too. No matter how big or small your debt is, it’s a good idea to sit down with a trusted financial adviser to review all of your options. Can I Still Consolidate My Debt For Student Loans? Consolidating student loans is actually pretty common. Often, students leave school with three, four, or even five different loans with different lenders. Each loan probably has a different rate, term and payment amount. For many people, it makes sense to take all of those balances and put them into one loan with one payment, as this makes managing finances much simpler. It can even shorten the amount of time it will take you to pay off your student debt all together. A great resource to use when considering student loan debt consolidation is studentloans.gov. We also often recommend Great Lakes as a great resource for student loan debt consolidation options. Both sites have tools like a repayment planner and resources for anyone looking to manage their student loan debt. If you have received a notice of wage garnishment, sometimes referred to as income withholding, it can be very stressful. There are many options available that can stop wage garnishment from proceeding. Believe it or not, in many cases you can use a debt consolidation loan to stop wage garnishment. It is best to work with a financial institution you trust when using a debt consolidation loan to stop wage garnishment. However, if you cannot afford the payments on the consolidation loan, this may not be your best option, as you will only fall further into debt. Depending on the type of loan and your financial situation, some debt consolidation loans will require collateral. Typically, with unsecured loans, the lender is lending to you based on your creditworthiness. After assessing your credit score and financial history, they can determine if you're a safe "investment" for them and can offer you a loan with the security that you'll pay it back. With secured loans, the lender is usually taking a higher risk. Maybe your credit history isn’t perfect or you have a poor financial history that gives them reason to doubt that you’ll be able to pay off your loan in a timely manner. That's where collateral comes in. Collateral is security for the lender that they’ll at least get something out of the deal. If you can’t keep up with your payments, the lender will take the collateral instead, which could leave you worse off than you were before. There are a number of things that can be considered as collateral for secured debt consolidation, including real estate, vehicles, retirement savings, or personal items that hold high value. Require me to close existing accounts? When you apply for a debt consolidation loan, the lender looks at your debt-to-income ratio. This ratio is the total monthly debt payments versus total monthly income. The lender can approve or deny your application based on that ratio alone, but sometimes they will approve the loan application with the requirement that you close most of your other accounts to avoid racking up more balances. Many times, lenders will allow you to have one line of credit open for living expenses or emergencies. If you are not required by your lender to close your existing lines of credit, you need to make sure you do not continue to use them as you previously have, or you will risk falling back into a unmanageable situation. Debt consolidation fees and charges are all dependent on the consolidation method, the lender you work with, and if you make your monthly payment on time. Some lenders may charge you application or service fees, which is why it's important to weigh your options for debt consolidation companies. If you make your monthly payments late, you run the risk of incurring late fees or missed payment charges. It is very important for you to ask about any fees or service charges before signing any paperwork with the financial institution you choose to work with. Debt consolidation is a excellent tool to help you gain control over your debt. However, it may not be the perfect solution for everyone. There are several alternatives to debt consolidation loans that are often considered by those searching for a way to manage their debts. It's important that you understand the advantages and disadvantages to these other debt management options when compared to debt consolidation. Debt consolidation and bankruptcy both have attractive advantages by offering a fresh financial start; but the disadvantages should be taken seriously. If this is your first time struggling to manage your debts, a debt consolidation loan is probably the first option you should consider. This is a quick and easy option that won’t significantly impact your credit score, or cause you to have to completely change your life. However, if your credit is already significantly damaged, you have tried a variety of other options to gain control of your debt and nothing seems to help; then filing for bankruptcy may be the most realistic option for you. Chapter 7 Bankruptcy: Often referred to as liquidation bankruptcy, this option requires you to sell off your assets and property to pay off your creditors. This is what most people refer to when they think of filing for bankruptcy. Chapter 13 Bankruptcy: Typically there is no liquidation involved with this option, but rather an aggressive payment plan is developed for you to pay off your creditors through a process known as debt restructuring. In order to file for bankruptcy, you will want to hire a bankruptcy lawyer to guide you through what can be a very complex court process. During the bankruptcy proceedings, you will be appointed a trustee who will handle your case and act as a moderator between you and your creditors. The entire filing process can take between three to six months depending on your situation, and there are many important deadlines and steps you will be required to take during that time. A debt management plan (DMP) is a payment plan set up for you by a credit counseling agency that helps you repay your debts by negotiating with creditors. Often time they are able to reduce or waive fees, finance charges, or decrease interest rates to lower your monthly obligations to ensure repayment. 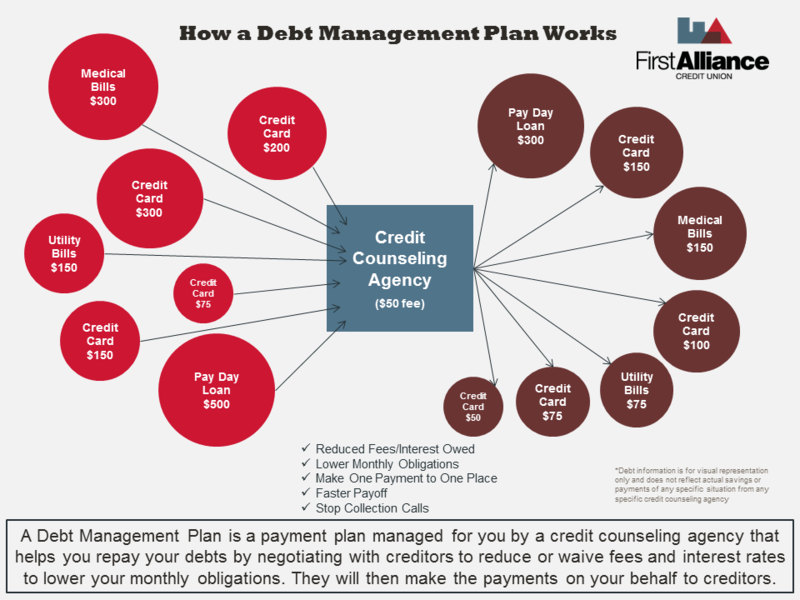 Debt management plans typically include a monthly service charge. Look at your debt-to-income ratio (DTI). If your DTI is above 20%, excluding your mortgage, then this is a sign that your debt level is too high and a debt management plan is something you may want to seriously consider. If your credit score is below 620, then a debt management plan may be your best option. This is because many lenders (not all) will not extend credit to those with a lower credit score, so you may not qualify for a consolidation loan or balance transfer. Debt management plans are also most helpful if you have multiple debts from multiple different creditors to make payments to every month. If you have a smaller number of creditors or have multiple loans with a single financial institution, you may be better off working directly with the creditors yourself to avoid the fees associated with a debt management program. If you are not seriously behind on your payments a debt management plan can be useful. However, if most or all of your debts are in third-party collections, then you may need to look more closely into bankruptcy or possibly debt settlement. The criteria listed above for determining if a debt management plan is best for your situation is only a rule of thumb and not a hard guideline. Make sure you fully understand what the specific credit counseling agency you choose to work with is offering you and at what cost. At the end of the day, whether you choose debt consolidation or debt management, you are still paying off your debts over a period of time, so make sure you can afford to do so. Balance transfers are another way you can consolidate credit card debt, but instead of a loan, you are using another credit card to pay off your existing balances. 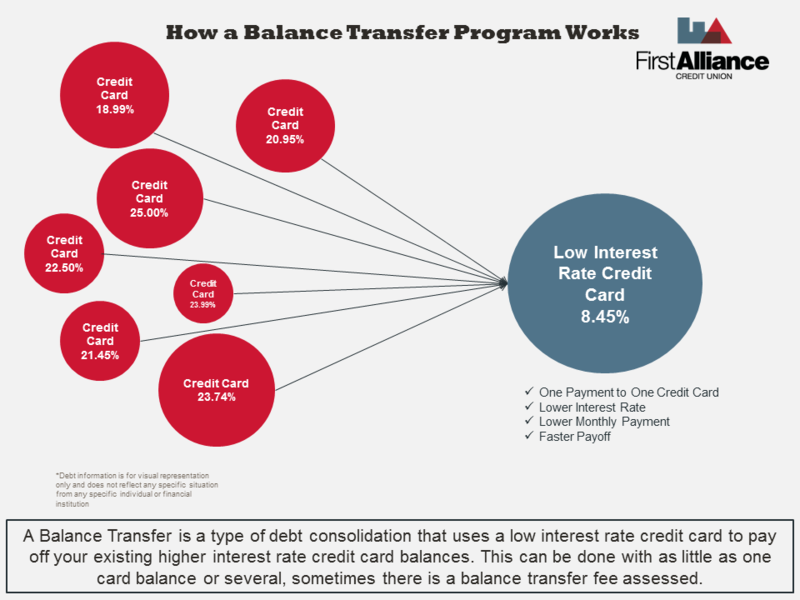 With a balance transfer program, you are using a lower interest rate credit card to pay off higher interest rate credit cards. Balance transfers often are most helpful when you are paying on several high interest rate cards and can qualify for a lower interest rate credit card to save money on your monthly payment, though you can selectively transfer single balances. Transfers are also more beneficial if you aren't going to continue to add to your balances and you want to only have one credit card payment each month. A debt consolidation loan has many of the same benefits of a balance transfer, with the added advantage of having a definite date for your debt to be paid-off. Debt consolidation loans can also help with loans outside of credit card balances, like auto loans or medical debt. If you are looking for options to make managing your credit card debt easier, either a debt consolidation loan or balance transfers can be helpful solutions. A debt forgiveness plan, also referred to as debt settlement, is when your creditors agree to cancel some, or all, of your debts owed. This form of debt management can be used with as few as one creditor or multiple, so long as you owe at least $10,000. Additionally, debt forgiveness is typically only an option for those who are at least six months or more behind on unsecured debt payments, like credit cards. Depending on the lenders you owe money to and how much you owe, this process can take up to three years to fully resolve. During the debt settlement process you are typically advised by the debt settlement agency you are working with to stop making payments on your debts, as this adds pressure on your creditors to negotiate with the debt settlement agency. However, doing so will further negatively impact your credit score. The main advantage of debt forgiveness is that you ultimately pay less money than you owe, so you feel like you are saving money. This is really enticing when you’re struggling to pay off large amounts of debt. In reality, the cons of debt forgiveness typically far outweigh the potential savings. However, if your credit score is already below the 550 mark and you have the money to pay off the newly negotiated balance as a lump sum, debt forgiveness could be a reasonable solution to your debt problems. In most cases, the advantages of debt consolidation far overshadow those of debt forgiveness. While debt consolidation may not be the perfect option for everyone, debt forgiveness is rarely an appropriate solution to your debt issues. Debt forgiveness can seem like a great option in theory, but in practice it is often full of more struggles long term, the least of which is a destroyed credit score. The debt forgiveness industry is also wrought with scams and is poorly regulated. Debt consolidation on the other hand, is a common type of loan that is relatively easy to obtain from reliable financial institutions. Debt consolidation is actually a form of refinancing. The major difference between refinancing and debt consolidation is the number of loans you are renegotiating terms on. With debt consolidation you are refinancing multiple debts into one single loan, so you are only making one loan payment instead of multiple. Whereas when someone refers to refinancing, they are typically referring to reworking one single loan. Additionally, with a debt consolidation loan you are able to payoff other unsecured debts such as medical debts or past due utility bills. You cannot do this with typical refinancing. The purpose of refinancing your debt is to lower your monthly payments or pay off your debts faster. This is usually accomplished through lowering the interest rate you are paying on your debt. You will usually qualify for better interest rates when your credit score increases or overall interest rates have dropped. Refinancing your debt is a great option to consider when trying to gain control of your debt by making your payments more affordable. It will be easiest for you to refinance if you are current on your existing payments. If you only have one or two debts that you are looking to lower your payments on, then refinancing those debts may make more sense than a consolidation loan. However, if you have multiple unsecured debts that have high interest rates it may be better to look into debt consolidation, especially if you are struggling to make on-time payments. Of course, before you make any final decisions it is important to consult a trusted financial institution. They can help you fully evaluate your financial situation and give you some guidance as to which process will be most beneficial to you and your situation. There are four basic steps that you need to take in order to apply for a debt consolidation loan. Each step is important for you to follow in order to be successful with your debt management goals. Before you meet with a financial institution, you will want to have a solid understanding of your financial situation so there are no surprises when you meet with your chosen lender. Reviewing your current debts and total income will also help you determine exactly what your goal for debt consolidation is - lower payments or faster pay-off. To review your financial situation you will want to gather all of your debts that you would like to pay off with the debt consolidation loan, like credit cards, store cards, gas cards, medical bills, etc. Calculate the sum of all of your outstanding loans that need to be paid off. Make sure to review the interest rate, loan terms, any late fees you owe, early termination fees or any other penalties into your total pay-off calculation. Completing this debt review will help you to determine exactly how much you owe, how much interest you will be paying, and how long it will take you to pay off your debts. 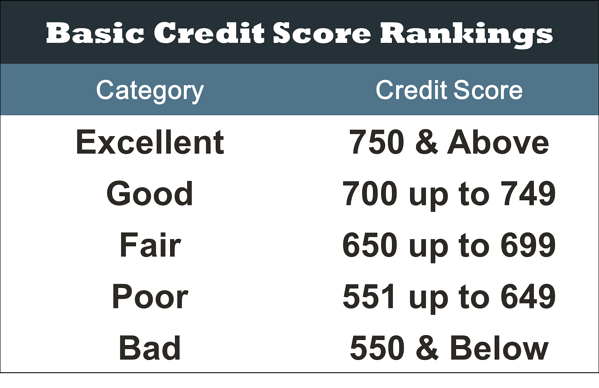 It would also be beneficial for you to review your annual free credit report and use one of the free credit score tools mentioned above to get a ball park on where your credit score currently is sitting. This will give you insight into what the lender will be seeing when you meet with them. Additionally, by reviewing your credit information first you will be able to more easily shop around for the best interest rate you can get without having to meet with multiple lenders. Once you have an understanding of your total debt levels and your goal for debt consolidation, it’s time to choose financial institution you want to work with. It’s important you choose a lender who not only offers you an affordable interest rate, but is also reputable and can help you develop a plan to stay out of debt in the future. You can usually get a debt consolidation loan from just about any credit union or bank; they are also often referred to a signature loans or personal loans, so when searching their websites you will want to look at interest rates for those types of loans first. Once you have answers to these questions, and any others you have, it’s time to meet in-person with a lender from your chosen financial institution to discuss your debt consolidation options. Once you have selected a financial institution you trust it’s time to make an appointment with one of their debt consolidation experts. This step is important because the lender you work with will be able to give you guidance on how best to finance your debt for consolidation. In many cases it will be through an unsecured personal loan, however depending upon your specific situation and their lending guidelines, they may recommend a secured loan or require a co-signer. Copies of the bills and statements you plan to pay off. This will help the lender get an accurate picture of all of your debts, with the actual payoff amounts and will help you know the exact loan amount and payment for the loan. Copies of your last two pay stubs. This helps the lender calculate your debt to income ratio, and helps you decide which payment amount and loan term is most comfortable for you and your budget. During your meeting with the loan officer, they will pull your credit report to help assess your financial situation, and provide you with the interest rate you qualify for based on their lending guidelines. If you completed step two you should have a good understanding of what they will be offering you. However, keep in mind that each financial institution has different lending guidelines and pulls credit reports from different credit bureaus, so they may not be an exact match to what you reviewed, but it should be close. Overall, make sure you are open and honest about where you are financially and what your goals for debt consolidation are during your loan meeting. This step can often be accomplished during your debt consolidation interview if you feel comfortable with the loan terms the lender has presented to you. In some cases, you can also apply before your appointment if you are confident the financial institution is the one you will work with. Often submitting a loan application online before your appointment can help expedite your meeting, as the lender will be able to pull your credit report before you arrive and have reviewed you financial situation ahead of time. 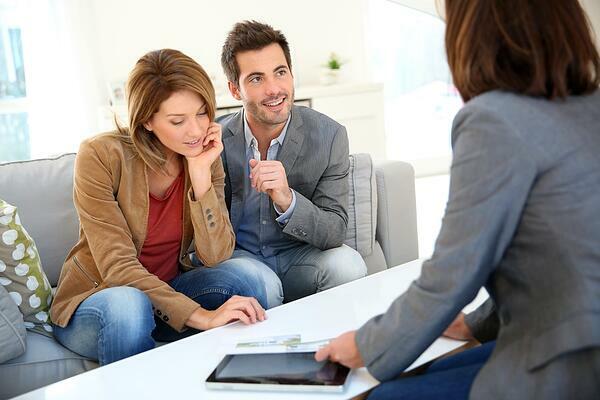 When you make your appointment with a loan officer, you can ask them what their preference is. Some individuals prefer to skip step three all together and go straight to applying for a loan, then wait to see if they are approved. However, unless you have a decent credit score and good debt to income ratio, you will likely be asked to come in to meet with a lender anyway. It’s a best practice to plan on meeting with someone when you are dealing with debt consolidation. This ensures you have a full understanding of your debt consolidation options for your financial situation. 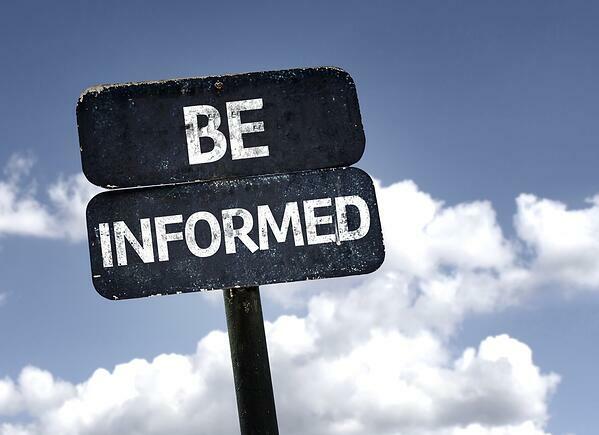 That being said, regardless of when you apply for a debt consolidation loan, there is specific information you will be required to provide during the application process. Depending upon the type of loan you’re planning to apply for there may be slightly different information you are required to provide. When applying for an unsecured debt consolidation loan, also referred to as a signature loan or personal loan, you will need to provide several key pieces of information about yourself, your debt, and your budget. The sooner you are able to provide this information to your lender, the sooner you can complete your loan. Often an unsecured debt consolidation loan can be completed relatively quickly, usually within a day. Now, if you are planning to apply for a secured debt consolidation loan you will also need to supply some additional details based on the type of collateral being pledged, usually either a vehicle or real estate. We discuss each of these options next. If you are using something other than a vehicle or real estate for a secured debt consolidation loan, then each lender will inform you of the type of information they will require from you. If you are using your vehicle as collateral for a secured debt consolidation loan you will need to provide the following information about the vehicle to your lender, in addition to of the items listed above for an unsecured loan. Different lenders will have different guidelines for what they will accept as vehicles for collateral on a secured debt consolidation loan. 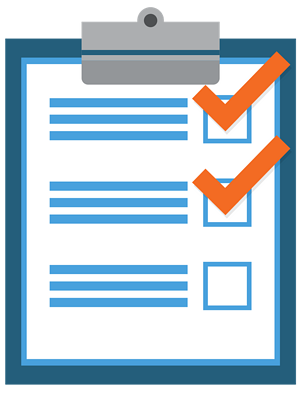 It will be important to ask your chosen lender up-front what their requirements are. Typically debt consolidation loans secured with a vehicle can be completed within one or two business days, depending upon if the vehicle is currently financed at another financial institution. Again, every financial institution’s process will be a little bit different and you may be required to provide other documents on top of this list. Generally, when applying for a home equity loan as a debt consolidation option the process can take anywhere from two weeks to thirty days to complete. Once you've been approved for your debt consolidation loan, it's time to start making the agreed upon monthly payments. Your lender may offer a variety of different payment methods, like cash, card, online portals, etc. No matter what the method, make sure you're making your payments on time and aren't racking up additional debt in interest or late payment fees. The purpose of a debt consolidation loan is to improve your financial situation. Don’t let yourself fall back into debt. If you do begin to struggle financially again for any reason, contact your lender right away. Submit the form to the right to reach out to one of our loan specialists that can help you get your debt under control with a debt consolidation loan. Take control of your finances, let us help. Randi was a pleasure to work with. She really cared about what was in my best interest financially, and we worked together to put the loan together with the coverage I needed in a way that respected my budget. She also had a wealth of knowledge and advice when I asked her about building my credit score. I felt very taken care of, and very sure that my decisions were wise ones. First Alliance has always been a business for the people and you do not feel like a number. I felt the clerks and loan officers would listen to you for your needs and did everything they could do effectively. As a member for many years, the service and knowledge was always appreciated. I would rather have First Alliance receive the interest off my account than any other bank because of their energetic, optimistic, ethical attitude toward members. Also, I felt I save money too. Thank you.